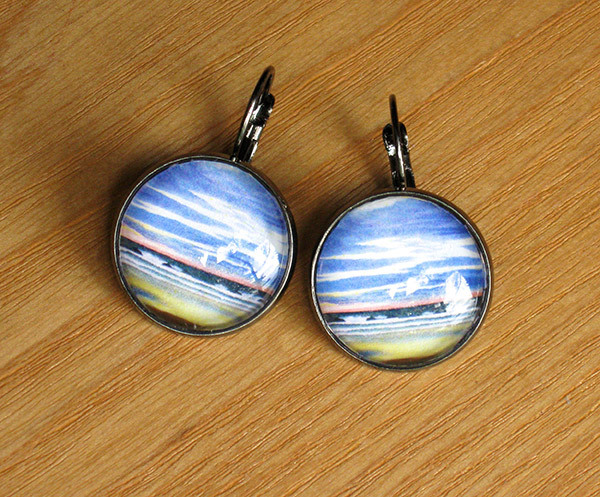 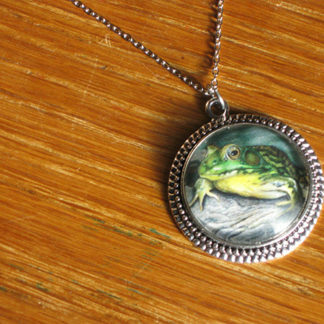 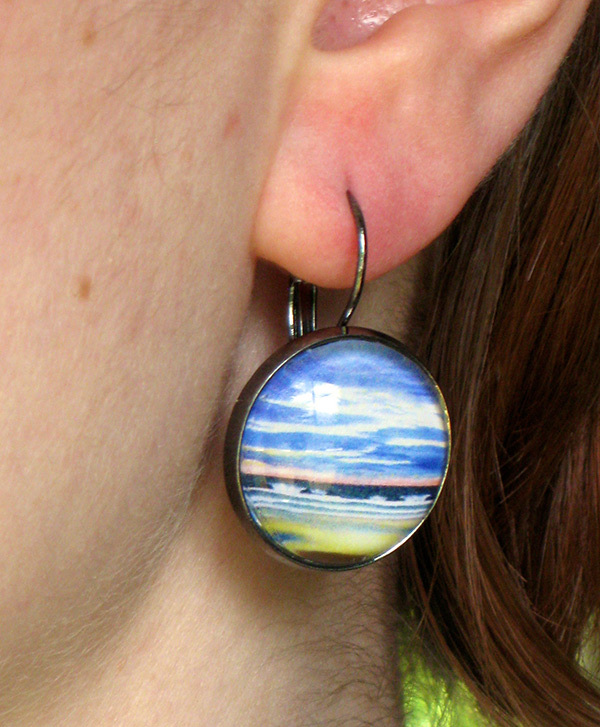 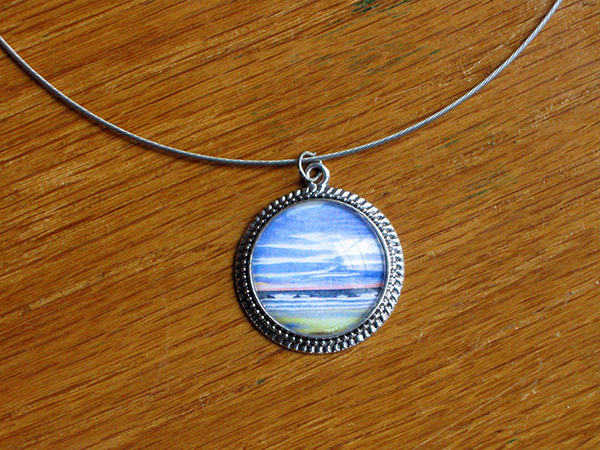 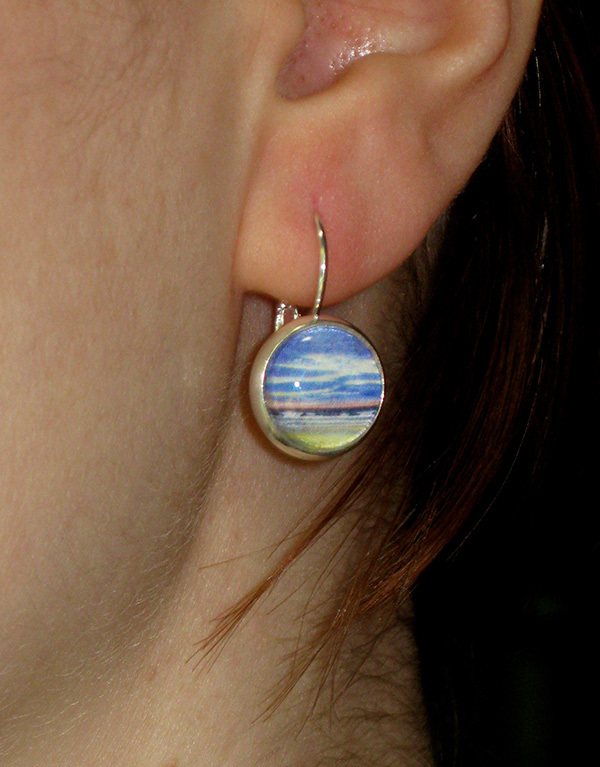 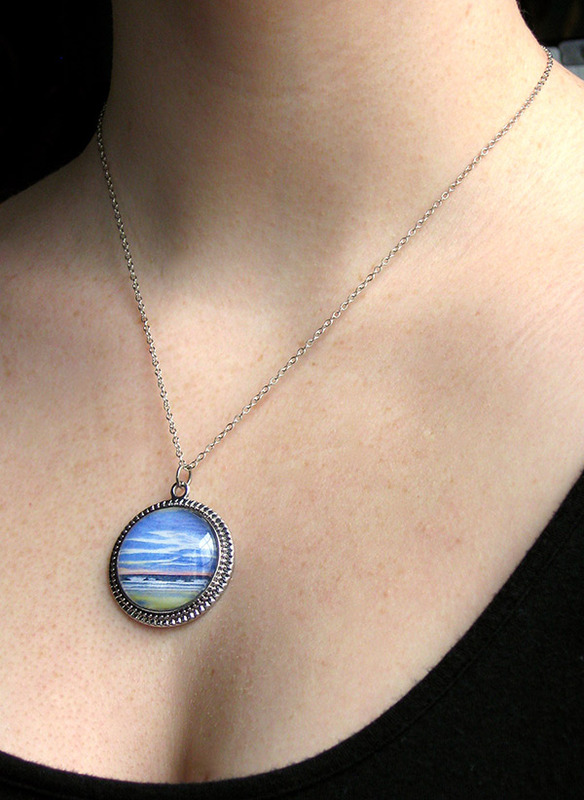 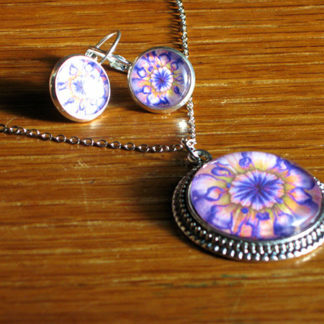 Enjoy the oil painting, Cloudy Sunset, as stunning jewelry! 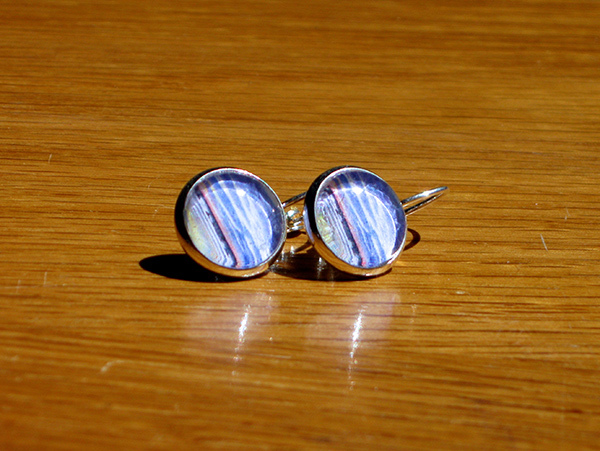 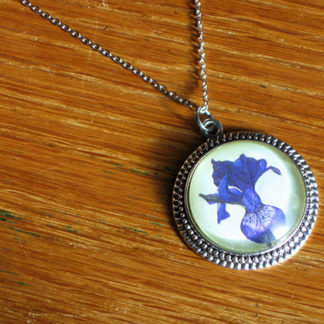 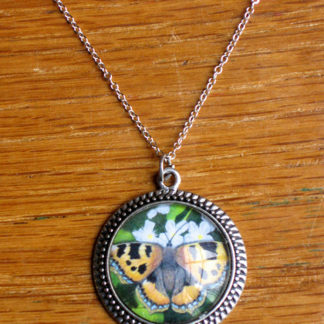 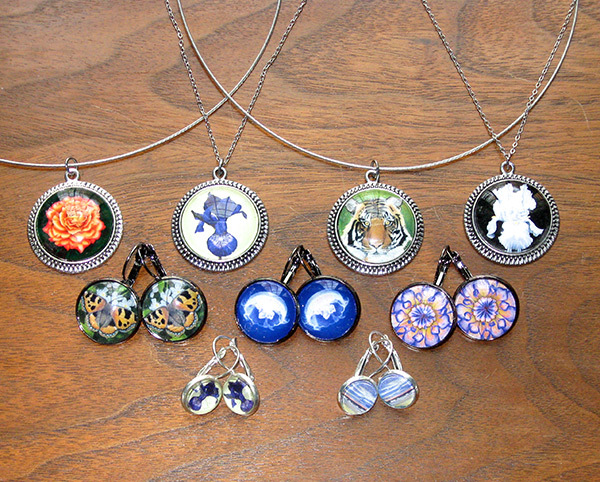 Earrings come in small or large sizes and the necklace comes as a petite chain or a choker. 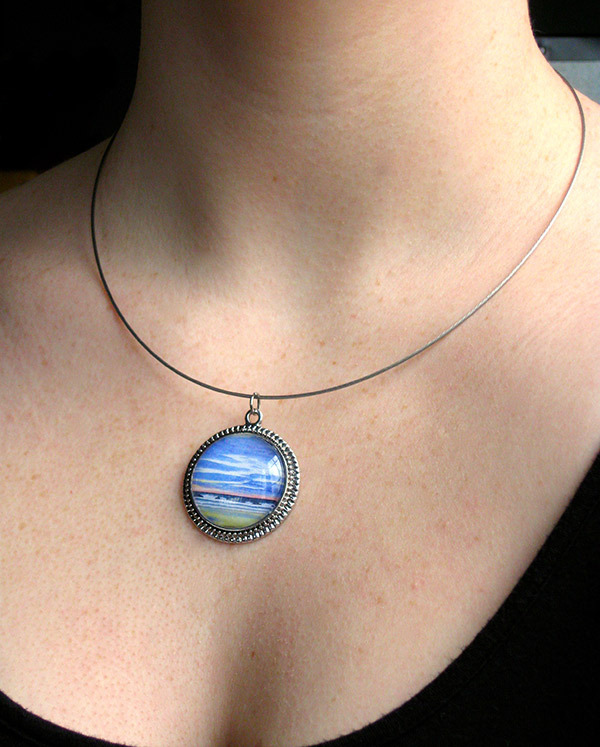 View prints and other products featuring the Cloudy Sunset here.